I have exciting news! Brighton and I bought our first home together. We closed this week and moved in last weekend. As you may have noticed, Brighton and I put our adventures on hold for the past few months because we have been in the house buying process. It was certainly a journey because there’s so much uncertainty and waiting during this process, you never know what will happen and what contracts will fall through. The market in Salt Lake is extremely hot right now. Great for sellers, not so great for us buyers. The process as a whole has taken about 3 months from the search to closing. All things considered, everything went extremely smoothly. … Hopefully we’ll be getting a puppy soon!… But first, I have to convince Brighton (which won’t happen for a while) 🙁 Oh, well. Anyways, there are some renovations that we’d like to do for this house, including new kitchen appliances, countertops, flooring, and perhaps opening up the kitchen/living room area into a more open concept feel. As we continue down this adventure of being first-time homeowners, I’m sure I will be documenting the journey. Starting to get your financial documents ready and available is key to getting the pre-qualify/pre-approval started! They most likely will ask for 2 years of W-2s, most recent 30 days of pay stubs from your current job, copies of your drivers license, and possibly even federal tax returns. For us, it took a little time to get all those documents gathered and uploaded to the computer for the mortgage broker as they weren’t readily available. During this process, you should also begin doing some research on what you’re looking for in a house, the area, and budget that you need to stay within. Also research when your lease ends or what the process for breaking a lease is, if any. Tip: Start your process early! On average a homebuyer will spend 30-60 days shopping, 14-60 days from contract to close, and likely 14-45 days or so before your first mortgage payment is due. For some people, the process can be extremely quick and take as little as 30 days total. We spent about 35 days shopping, and it took about 35 days from contract to closing day. Assuming you are applying for a mortgage, take a look at your family’s budget to determine how much house you can buy. The rule of thumb is no more than 3-5x your family’s annual income after taxes, or 25-30% of your after-tax income per month. Since each situation is unique, take into account your month bills, debts, and everyday living costs. Brighton and I made the mistake of not nailing a firm budget before we saw our first houses and ended up falling in love with a home we couldn’t afford comfortably. To avoid wasted time, and making the same mistake we did, plan out your budget in detail to find out what you can afford. We used calculators to get a sense of how much insurance and additional fees would be for our mortgage. Remember those documents you gathered when you were getting organized? 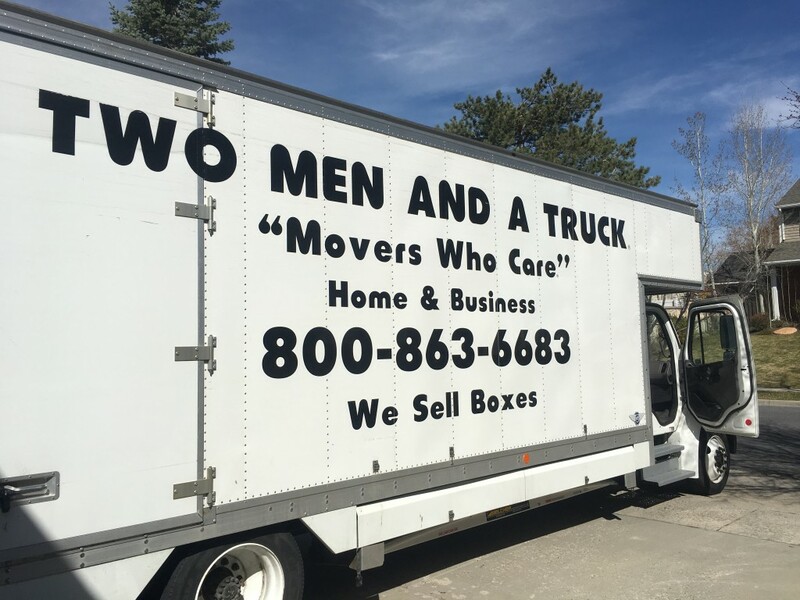 You’ll need them for the pre-approval process. We decided to use a mortgage broker that my realtor works with for simplicity. A mortgage broker’s job is to be the intermediary between the lender and the borrower. They typically have several lenders they work with and they work with the lender that will offer the best situation for the borrowers. He or she will let you know how much you can be approved for, with will also help narrow down your search. We were approved for more than we wanted to spend, so keep that in mind when planning your budget. Pre-qualification is usually the first step in a mortgage process, and is more of a preliminary overview of your assets and debts. Pre-approval will often require documentation of your financial history, including a credit check which will be a hard inquiry. 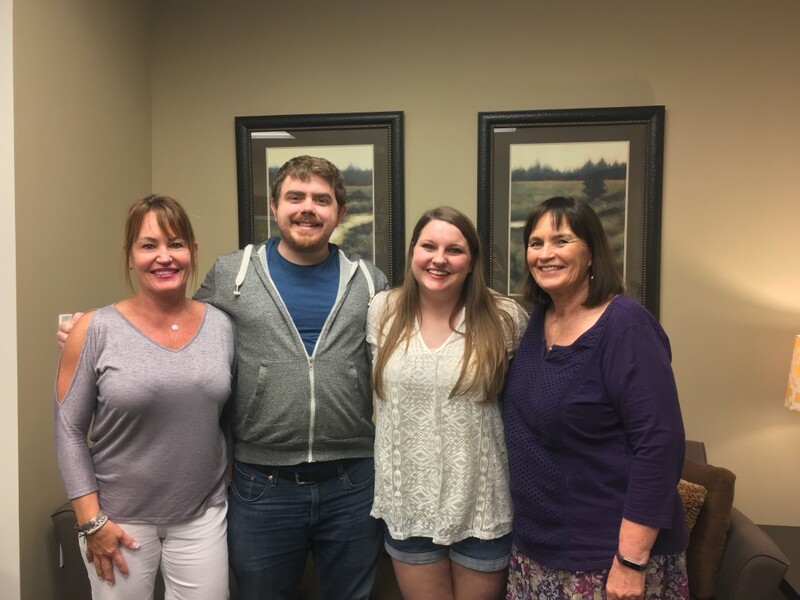 Since this is our first home buying experience, we were confident that we’d need a real estate agent to help us through the process and help us find the right house in the right location. They are your advocate through the process as they have knowledge of re-sell values, neighborhood types, and they have access to additional information that may not be available to the public. We were linked up with ours based on a friend’s recommendation. We have been very happy with our choice as our realtor is knowledgeable about potential issues that we never would’ve been aware of had she not informed us. Her job is to help us find a home and negotiate through the process. Step 5: Shopping for your Dream Home! Let’s be real for a minute. We saw a LOT of houses. Good houses, bad houses, strange houses. Oh man. They blend together after you start seeing a bunch of them. Our realtor printed out the MLS information for each house we saw which helped keep track of the features and which houses were which. We searched for about a month before we made an offer that was accepted. We had attempted to make an offer on a house but before we could, someone else had already made an offer that was accepted. The housing market in Salt Lake is extremely fast-paced right now, which means you may not be able to delay when making an offer. Brighton took off work on a Friday morning and we went out and looked out 8 houses in a row, and one of them stood out to us so we immediately made an offer after seeing the house, which was accepted. There was an open house scheduled for the next day and we wanted to avoid a bidding war, so I am happy we were able to get that offer accepted before that happened. This was a sum of money negotiated within the offer we made showing that we were “serious” about our offer, and ready to buy the house based on the terms in the contract. Our earnest money is held in a separate account (not the seller’s) and goes towards our down payment, but that is also dependent on the contract of your offer. Most of the time, offers are made on the contingency of the home inspection. Inspections are technically optional, but they are highly recommended. This is when you should be able to find out if there are structural or water damage or anything needs repair or replacement in the home. If the inspection results in something major, the buyer can pull out from the contract without penalty. Make sure that this is all included in your agreement when you make an offer and don’t assume that it is! Our home inspection turned out to be overall very positive with only minor fixes. We requested the seller do a few minor fixes, which they agreed to without contest. Before the sale of the house closes, there’s a walk-through which gives the buyer a chance to verify that the repairs have been made and the house is in the same condition in which when the offer was made. There are a variety of ways you can select the loan that’s best for your new home purchase. You can mortgage shop by calling lenders and comparing rates, use a mortgage broker, or you can go with a lender you already know. Since we used a mortgage broker to simplify our process the first time around, he shopped around rates for us to come up one that would give us a low rate, with an affordable monthly payment based on our credit and history. We did some of the prep work before we chose the property, and have been updating the paperwork as we go through the process. The lender you choose will want to verify that you (and them) are paying a fair price for the home. Basically, if your home appraises for less than what you’re paying, the bank won’t lend more than what the home is worth. If your home appraises for more than what you’re paying, you got a good deal and have some built in equity (theoretically). If your home appraises for what you’re paying, you’re right on track. The appraiser is an independent party that assesses the value of the house and lets the buyers and lender know what the house is worth without bias. Our home appraised for purchase price, so we were satisfied with that. After the appraisal and before closing, your lender will finalize loan approval to go into the “clear to close” stage. The title company will handle all paperwork involved including making sure there are no liens out against the house or property, and to verify the seller is the rightful owner of the home. After this step, you will send the down payment to the title company so they can get it ready to record and fund. What is a title company? Title companies act as the combined agent of the insurance company, the buyer, the seller, and any other parties related to a real estate transaction, such as mortgage lenders. The title company reviews title, issues insurance policies, facilitates closings, and files and records paperwork. At closing, the buyers will sign all the paperwork that is required to complete the purchase of the home, including the loan documents agreeing to the loan, interest rate, and all other necessary items during the process. After “settlement” is the funding and recording, performed by the title company, which means they complete the transaction giving all payment to sellers and transferring title and deed to buyer. Once everything has been exchanged, the transaction is complete! Time to celebrate!! 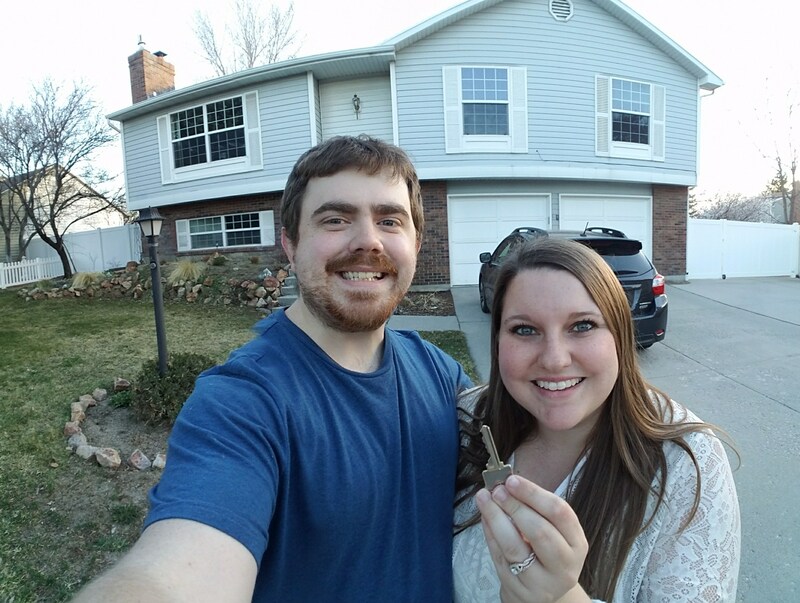 We are extremely excited to be homeowners! 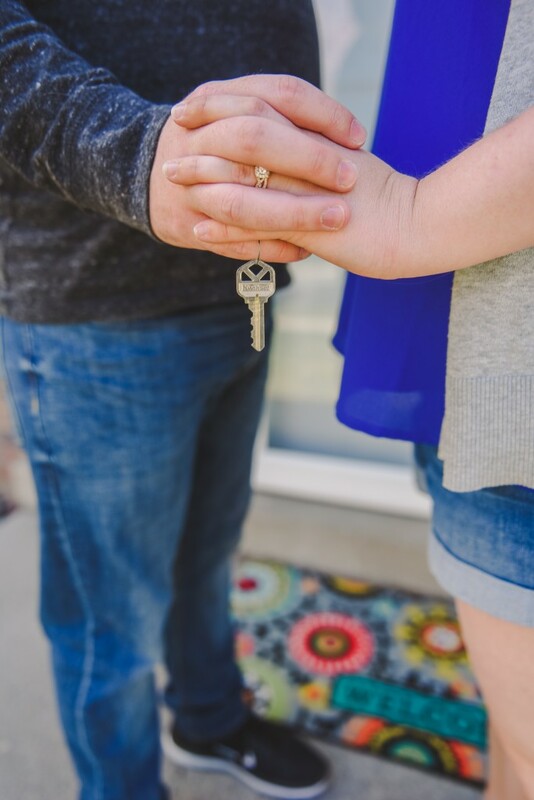 I am also nervous because there’s a lot we don’t know going into this… and I’m sure we’ll be constantly be learning new skills that go along with being a homeowner. Have you ever bought a house? What was your first-time home buying experience like? Were there any major issues or delays?